30 Liters 350 mm 14" 360 mm 14.2"
20.5" x 21.25" x 30.7"
40 Liters 350mm 14" 460mm 18"
20.5" x 30.7" x 21.25"
60 Liters 350mm 14 " 660mm 26"
20.5" x 38.6" x 21.25"
Power Requirements: Single phase + Neutral & Earth 230 volts, 13 Amps, 50/60Hz. Shipping Dimensions: 77x87 x 82cm (wxdxh) 30" x 34.25" x 32.25"
Manual fill into the reservoir lasting approx. 20 cycles (Autofill units only). 21" x 27.6" x 41"
26" x 33" x 37"
26" x 33" x 42"
26" x 45.25" x 47.25"
Shipping Dimensions: 87 x 65 x 138cm (wxdxh) 34.25" x 25.6 " x 54.33 "
The Duaclave features two identical chambers, one directly above the other. 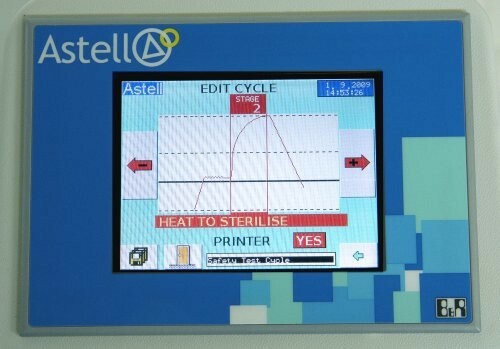 Combining two units within one frame, the two chambers operate completely independently and are controlled using two separate PLC Controlled Fully Programmable full Colour Touch Screen Controllers, as fitted to all Astell products. 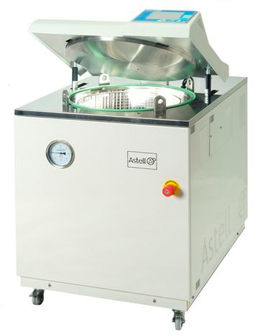 For example whilst one chamber may be processing fluids, the other can either sitting idle or perhaps completing a discard load. 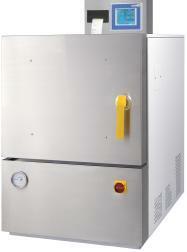 Compressed Air Oil Free 150 lt/min peak. Easy cycle construction using individual stages. 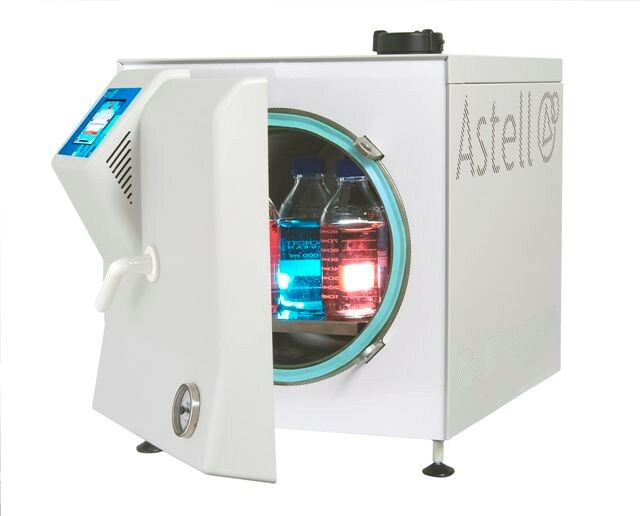 Here is a short video explaining Astell Autoclaves and sterilizers products. 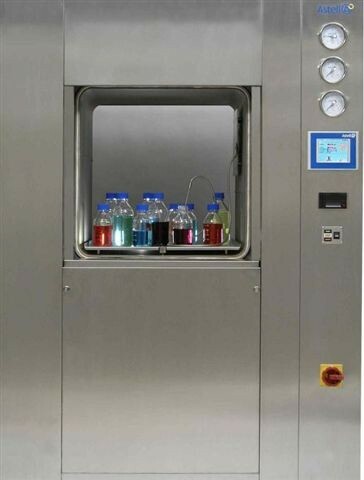 This video was recorded at the Achema 2012 exhibition held once every three years in Frankfirt, Germany.